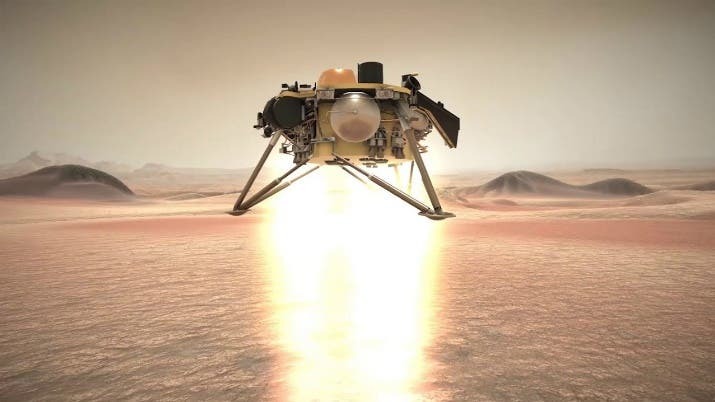 As the InSight lander descends into Mars’ atmosphere 91 million miles (146 million km) away, it will broadcast simple radio signals called “tones” back to Earth prior to touchdown on the Elysium Planitia – the site chosen for the Nov. 26 landing. The first time, it will communicate with a tone beacon that the radio telescopes will try to detect. The second time, it will send a “beep” from its more powerful X-band antenna, which will be pointed at Earth. This beep includes slightly more information and is only heard if the spacecraft is in a healthy, functioning state. If NASA’s Deep Space Network picks up this beep, it’s a good sign that InSight survived landing. Engineers will be tuning in from two locations: the National Science Foundation’s Green Bank Observatory in Green Bank, West Virginia and the Max Planck Institute for Radio Astronomy’s facility at Effelsberg, Germany. Their results will be relayed to Mission Control at JPL and engineers at Lockheed Martin Space in Denver. The engineers will need to wait until early evening to find out if the lander successfully deployed its solar arrays. 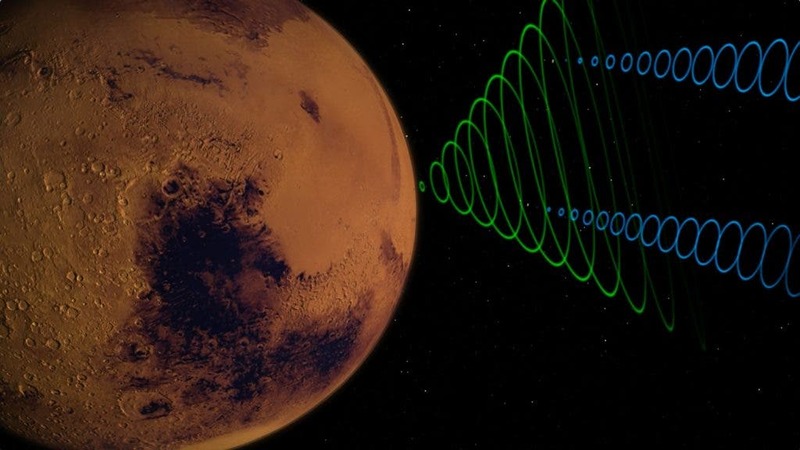 Because these signals are captured by several spacecraft, they’re relayed to Earth in different ways and at different times. That means the mission team may know right away when InSight touches down, or they may have to wait up to several hours. These tones don’t reveal much information, but radio engineers can interpret them to track key events during InSight’s entry, descent and landing (EDL). For example, when InSight deploys its parachute, a shift in velocity changes the frequency of the signal. This is caused by what’s called the Doppler effect, which is the same thing that occurs when you hear a siren change in pitch as an ambulance goes by. Looking for signals like these will allow the team to know how InSight’s EDL is progressing. The MarCOs are experimental technology. But if they work as they should, the pair will transmit the whole story of EDL as it’s unfolding. That might include an image from InSight of the Martian surface right after the lander touches down. After it touches down, InSight will essentially yell, “I made it!” Seven minutes later, the spacecraft says it again—but a little louder and clearer. Besides the MarCO CubeSats, NASA’s MRO will be soaring over Mars, recording InSight’s data during descent. MRO will hold on to the data it records during EDL as it disappears over the Martian horizon. When it comes back around from the other side, it will play back that data for engineers to study. By 3 p.m. PST (6 p.m. EST), they should be able to piece together MRO’s recording of the landing. MRO’s recording is similar to an airplane’s black box, which means that it could also prove important if InSight doesn’t successfully touch down. NASA’s longest-lived spacecraft at Mars will also relay data after InSight has touched down. Odyssey will relay the entire history of InSight’s descent to Mars, as well as a couple images. It will also relay confirmation that InSight’s solar arrays, which are vital to the spacecraft’s survival, fully deployed. Engineers will have this data just before 5:30 p.m. PST (8:30 p.m. EST). Odyssey will also serve as a data relay for InSight during surface operations, along with MRO, NASA’s Mars Atmosphere and Volatile Evolution mission (MAVEN) and the European Space Agency’s Trace Gas Orbiter.